This fall Molson Coors celebrates 225 years of brewing excellence. Canada's second oldest company, Molson Coors continues to be a leader in innovation and a cornerstone in bringing communities together, upholding the vision of its founder, John Molson. To mark the company's milestone, seventh generation Molson brothers, Geoff and Andrew Molson, will travel across Canada to visit with communities, employees and business partners. "John Molson brewed his first barrel of ale in Montreal in 1786, with the belief that an 'honest brew makes its own friends'," says Andrew Molson, Chairman, Molson Coors Brewing Company. "Molson Coors still maintains that passion for producing great beer. Seven generations and 225 years later, Molson is an iconic Canadian brand, making good on John Molson's original declaration." While innovation has kept the company at the forefront of beer production, commitment to community has become engrained in Molson Coors' DNA. 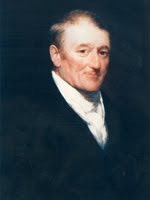 "We are all members of a larger community, which depends on everyone playing a part," John Molson said to his employees in 1825. Molson spearheaded the building of Montreal's first public hospital. He also owned and operated the country's first steamship line and helped fund the nation's first railway company. For the past two centuries Molson Coors has strived to uphold John Molson's legacy, with a continued commitment to community investment and employee volunteerism. The company has expanded its stake in corporate social responsibility with practices dedicated to environmental stewardship, including a global water strategy to promote sustainable water use, responsible sourcing principles and the promotion of responsible alcohol use. "The growth of Molson Coors has as much to do with the making of great beer as it does with the people who are a part of it and the communities that we serve, always ensuring that we have a positive role to play in doing our part," says Geoff Molson. "We're proud to celebrate this milestone in our company's history with the communities that have contributed to our success over the last 225 years." The Molson family tour begins in Vancouver (Sept. 27-28), followed by Edmonton (Sept. 28), Calgary (Sept.29), Moncton (Oct. 4) and ends in St. John's (Oct. 5-6).